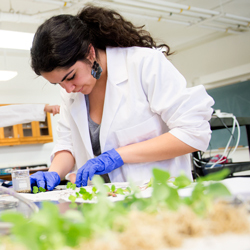 The Frank R. Seaver College of Science and Engineering is dedicated to providing outstanding educational opportunities in science, engineering, and mathematics in a mentoring environment to an increasingly diverse student body. The College emphasizes development of the whole person through its focus on ethical behavior and service to society. The Graduate Programs in the Frank R. Seaver College of Science and Engineering provide opportunities for working professionals to enhance their skills and knowledge through modern, professionally rigorous and conveniently administered curricula which balance theory and practice in the areas of engineering, engineering management and leadership, computer and environmental science and the teaching of mathematics to advance their careers, serve the needs of society and meet the challenges of an ever-changing, complex world. Particularly applicable to the College are these goals: (1) to develop in the student the understanding that education is a self-discipline, and to place a greater responsibility for learning on the individual, (2) to integrate ethics into the curriculum in order to develop personal and professional integrity, (3) to help the student to become cognizant of the changing needs of humankind while interpreting and implementing the ever-increasing body of knowledge, (4) to encourage the student to recognize the wide applicability of scientific, engineering, and mathematical methods and to become skillful in their use, (5) to prepare the student for a world of accelerating scientific and technological change, (6) to impress upon the student that education must be a continuous process throughout one’s professional career, and (7) to enable the Loyola Marymount graduate, through theological and philosophical studies, to make absolute and genuinely intellectual decisions and commitments about truth as it exists in the world and about one’s own nature as a human being. The College offers degree programs in Applied Mathematics, Biochemistry, Biology, Chemistry, Civil Engineering, Computer Science, Electrical Engineering, Engineering Physics, Environmental Science, Health and Human Sciences, Individualized Studies, Mathematics, Mechanical Engineering, Physics, and Systems Engineering. 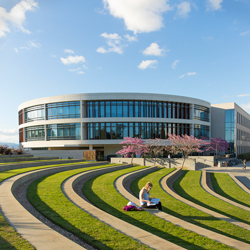 Frank R. Seaver College of Science and Engineering faculty also teach the science, technology, and mathematics component of the University Core curriculum. Courses numbered from 260-279 are designed specifically to meet the University Core requirements in Explorations: Nature of Science, Technology, and Mathematics (ESTM) for students not majoring within the College. With the exception of MATH 101 , other lower-division courses in the College may also satisfy University Core requirements, especially Foundations: Quantitative Reasoning (FQTR). Check with your Dean’s office. The University requirements for admission and graduation and all general rules and regulations of the University as set forth in this Bulletin are applicable to and binding upon all students enrolled in the Frank R. Seaver College of Science and Engineering. 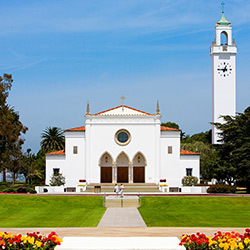 In addition, the Frank R. Seaver College of Science and Engineering offers graduate Certificate Programs in Lean Healthcare Systems, Program Leadership, Systems Engineering, Mechanical Engineering, Water and Wastewater Treatment, Groundwater Management, Water Quality Management, and Sustainability. The Frank R. Seaver College of Science and Engineering offers state accredited subject matter preparation programs in mathematics, biology, and chemistry. These programs meet the State of California subject matter requirements for a secondary teaching credential; a student who has successfully completed one of our subject matter programs (refer to the Mathematics, Biology, or Chemistry section of the University Bulletin) will receive a waiver for the California Subject Examinations for Teachers (CSET). All three programs were designed in collaboration with the School of Education to enable students to complete their subject matter requirements and their preliminary credential in four years; however, this does require summer coursework. Alternatively, students can choose to complete the subject matter program in four years and obtain their credential as a masters level graduate student (refer to the School of Education section of the University Bulletin). 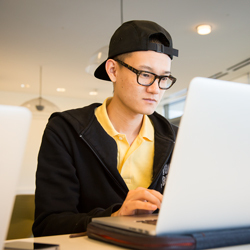 It is recommended that students entering one of the subject matter programs meet with the program director to discuss their options before making a decision. The College also offers courses in mathematics and science to support the multiple subject credential program for teaching elementary school (see the Liberal Studies section in the Liberal Arts part of the University Bulletin). All students interested in teaching mathematics or science at the secondary level should inform their departmental advisors as soon as possible and should also contact the Center for Undergraduate Teacher Preparation (CUTP). The Center for Student Success (CSS) in the Frank R. Seaver College of Science and Engineering coordinates and provides opportunities aimed at enhancing undergraduate students’ academic performance and career prospects. Located in Pereira 100, CSS offers students a central location to access information that is integral to a successful educational experience. 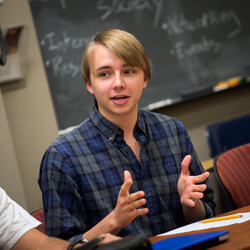 The CSS collaborates with other divisions on campus to provide students with information regarding career development, study abroad, and service opportunities to enhance the student’s academic, professional, and personal development. In addition, the CSS offers support to prepare for admission into health professional schools. These elements reinforce the shared mission of the University of encouragement of learning and the education of the whole person. For more information about the Center for Student Success, please contact the Associate Dean for Undergraduate Studies office at 310.338.2833 or CSS@lmu.edu. 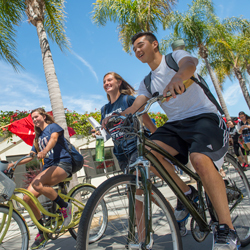 Students who are currently enrolled in a major at LMU outside of CSE but are interested in transferring to the CSE are encouraged to apply as early as possible. Students must have completed a semester of calculus (MATH 122 /131 ) and a semester of general chemistry (CHEM 110 /114 ) with a minimum grade of C (2.0) in each class. Students interested in the Computer Science or Mathematics major do not need the chemistry requirement. Individual programs may have additional requirements; refer to the University Bulletin for details. A minimum cumulative GPA of 3.0 is preferred for admission to the college. The Associate Dean of CSE and the Department Chair will evaluate the application when the student has met the minimum requirements. Attainment of minimum requirements may not always be sufficient to secure approval of transfer request. CSE students enrolled in B.A. or B.S. degrees within the Frank R. Seaver College of Science and Engineering will follow the core curriculum as described below. Science and Mathematics majors are required to complete 32 semester hours of core courses to satisfy the University Core requirements. Engineering majors are required to complete 30 semester hours of Core. 2. To fulfill the rest of the core semester hour requirements, students take a combination of courses in the categories listed below taking at least one course under Explorations. Flagged courses will typically be courses that satisfy other Core, major, or elective requirements, so they will be incorporated over the student’s four years of study. Foundations courses carry no flags. Quantitative Reasoning and Nature of Science, Technology, and Mathematics Core categories are met by the curriculum of the major in CSE. In addition, the Quantitative Reasoning Flag is met by the curriculum of the major in CSE. Science, Engineering, and Mathematics (SCEM) courses are offered by the Frank R. Seaver College of Science and Engineering.